So much of a child’s health, wellness, performance in school and sports, and stamina in other activities relies on the quality of his or her sleep. While most parents monitor this in many ways, limiting screen time at night and enforcing a strict “lights out,” it’s easy to overlook the condition of your child’s mattress. A mattress can have lasting effects on a child’s health and sleep quality, but often goes overlooked in the day-to-day business of raising a family. We’ve put together this short but thorough reference guide for busy parents searching for the best mattress options for their kids. Based on our research, thousands of customer reviews, and the unique needs of growing children, we’ve chosen our top 5 best mattresses for kids. You can read a quick review of each of them here as we discuss their pros and cons and the reasons they stand out. And, to further guide you in your search, you can also check many of them out on our full review pages. We know that creating a safe and non-toxic environment for your family comes first, and the same goes when shopping for a new mattress. So, we’ll cover the challenges of finding the right mattress to work for a growing family, and the potential effects of different mattress materials and components on your child’s sleep. According to the National Sleep Foundation, sleep has a direct impact on both the mental and physical development of your child at any age. There’s no wondering why when you see the statistics. The NSF explains that children by the age of 2 have spent more time asleep than awake, and that children on average will spend 40% of their childhood sleeping. Clearly, paying attention to the quality of your child’s sleep and their comfort and safety while sleeping is critical. The sleep guidelines endorsed by the American Academy of Pediatrics recommends anywhere from 8-16 hours of sleep per day for children, depending on their age. This recommendation includes 12-16 hours for babies and 8-10 hours for teens. In light of these recommendations and guidelines, it’s clear that the right mattress does have an impact on your child’s overall well-being. A quality, well-made, and comfortable mattress can definitely help your child get the right amount of sleep. It will also ensure that during the hours they spend sleeping they are supported physically, sleeping soundly, and kept safe from harmful substances. Comfort and support: Children, like adults, need proper support and spinal alignment during sleep. A mattress that sags or has body impressions is problematic because it won’t evenly support your child’s growing body. In this situation, extra pressure is placed on the lower body and the lumbar area is shifted out of alignment. The firmness level of a mattress is a matter of personal preference, so take advantage of the trial periods offered by many direct-to-consumer companies and see how well your child sleeps. Some options allow you to adjust for more or less firmness by flipping the mattress, so be sure to test out both sides in this case. Room to grow: It can be tempting to save money by going with the smallest mattress for a small child, but consider the big picture. Children grow quickly, and the ideal mattress will be one with a long lifespan that can adjust to a child’s needs as he or she gets bigger. To avoid having to go through the process again in just a year or two, it’s best to buy the highest quality you can afford with the long-term in mind. Durability: Kids are hard on their stuff! A mattress, in particular, can take a beating. From rough-housing to slumber parties to beloved pets and bouts of the flu, any kid’s mattress will go through the ringer. Again, the highest quality mattress you can afford is often the best way to go. Factors that impact a mattress’s durability include the type and gauge of the coils in an innerspring mattress, the thickness and density of the foam in a memory foam mattress, and the materials used in covers and mattress toppers. Quality of materials: A mattress basically consists of several layers of either foam, latex, wool or other fabrics, and coils or springs. It truly is the sum of its parts. At each layer, the quality of the individual components adds up to the quality of the overall product. For an innerspring mattress, you’ll want to look at the quality of the coils used, rather than the coil count. Know that pocketed coils allow for more airflow than the simpler coil constructions. For foam and latex mattresses, the manufacturing process can be important as well as the density and origin of the foam material used. Standards of safety and non-toxicity met: Our top picks for the best mattresses for children meet safety guidelines and a few of them go above and beyond to provide eco-friendly and all-natural materials. Consider the amount of time your child will spend in close proximity to the mattress and be sure to check for features such as CertiPUR-US certified foam. All-natural wool offers a non-toxic alternative for traditional fire-retardants. It is not advisable to purchase a mattress without understanding the materials used in its construction. Our full reviews can be a big help in this area. Understanding mattress sizes and dimensions before you begin shopping will save time and frustration later. The many size options can lead to confusion. Is a twin XL wider than a twin? Are a full and a queen that different? Don’t worry. We’ve got you covered. You have three great options when it comes to choosing your child’s mattress size – Twin, Twin XL, and Full. Keep in mind, as mentioned earlier, that the best mattress investment will be one that can accommodate your child during the growing years. In this case the right size can save money in the long run. Twin mattresses are the most common mattresses purchased for children and usually the most economical way to go. Basically, they are narrow but full length. They are best suited for smaller kids, lighter kids, and kids who have tighter spaces. When you need to economize with your space, like in college dorm rooms or a nursery transformed into a bedroom, a Twin is the best option. Twin mattresses measures 39 x 75 inches. Generally, Twin mattresses are best for younger school-age children. Once many children hit middle-school and the growth spurts that come with it, it will be time to size up for better comfort. A Twin XL is less commonly purchased, but still a great option. The only difference here is in length. Because a Twin XL is longer, it may accommodate a growing child for more years and therefore present a better investment. It will work well with taller kids who still need to save on space. It will not work with Twin-sized sheets that you already own, however. Twin XL mattresses measure 39 x 80 inches. Can work well for older kids and taller kids, or those expected to grow much taller. Twin XL mattresses can accommodate a child through college if space is tight. Can be less comfortable for older and larger kids, with less room to move. Shorter usable lifespan than Full. A Full mattress can be an ideal choice for children if space allows. The Full size is much wider than but the same length as a Twin. This is the best option for the maximum longevity and usability as well as comfort as your child grows. However, when space is an issue, a Twin or Twin XL will win out. Full mattresses measure 54 x 75 inches. With a total of 15 inches more in width, a Full mattress is versatile and great for any child’s needs. That said, if your child is or is likely to be extra tall, this option doesn’t have the length of the Twin XL. As mentioned before, a mattress is made up of a series of layers. The support core, which holds the shape of the mattress and supports weight, is usually a denser, stronger construction in the case of foam mattresses. In a hybrid mattress, the support core is often the innerspring layer. This layer is topped with the comfort layers, which often consist of memory foam or some other material designed to provide pressure relief. Each of the mattress types below will have different benefits for your child and will appeal to different types of sleepers. Memory foam: Memory foam mattresses are made of 100% foam. Without the innerspring component, a memory foam mattress is more portable, so it’s offered by many of the bed-in-a-box companies online. This type of mattress often consists of layered foam, and each layer may be designed for a different purpose. Memory foam is not washable, so a good cover is mandatory. For children, who are often lighter-weight than adults, memory foam can be comfortable and provide all the support they need while offering great pressure relief. Be sure that the support layer is adequate to provide spinal support and alignment, and that the foam is non-toxic. Innerspring: An innerspring mattress will often provide more firmness and overall structure than a foam mattress. 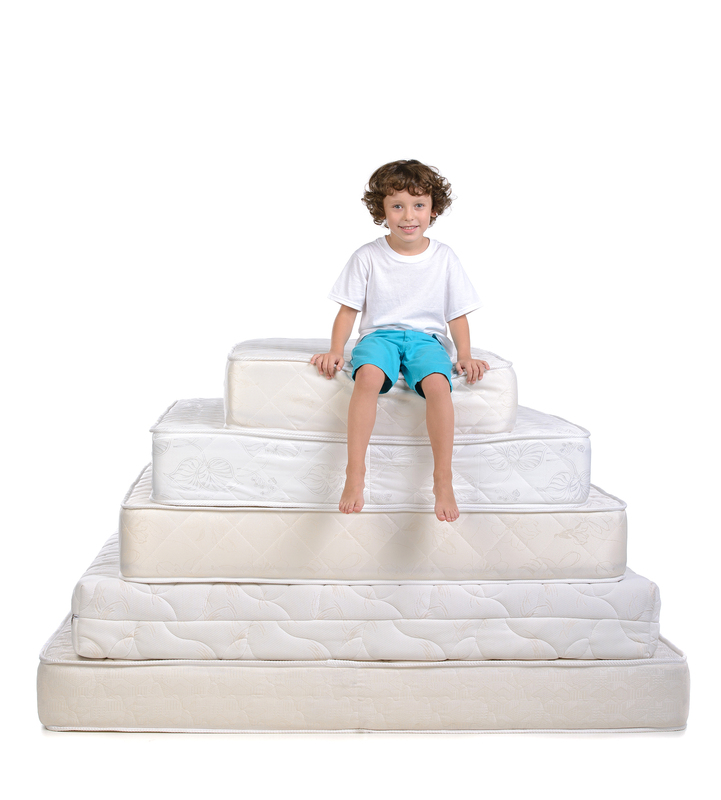 The strength and durability of a higher-quality innerspring mattress can be important for kids who are likely to test the mattress to its limits at times. Generally, the lower the gauge of the coils used, the stronger and firmer the mattress. Pocketed coils provide maximum airflow, but innerspring overall is a better option for kids who sleep hot. This type of mattress won’t trap body heat. Hybrid: Here is the best of both worlds. A quality hybrid mattress will offer the support and durability of innerspring, with the comfort and plush feeling of foam. Most hybrids feature foam comfort layers with an innerspring support core. 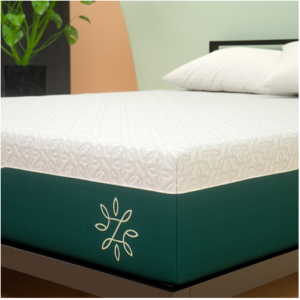 Latex: A latex mattress can be a good alternative to memory foam in that it offers more strength and support. Look for all-natural latex that is certified and safe. This can be an eco-friendly option and a great combination of comfort and durability. We’ve compiled extensive consumer reviews as well as our own research to create the following suggestions for the best mattresses for kids. The mattresses listed below provide 2 or more of the features that we recommend as top priorities when shopping for a new mattress for your child. As always, keep in mind that the best mattress will ultimately depend on a sleeper’s individual needs. Tuft & Needle is known for the proprietary adaptable T&N foam that makes up this two-layer polyurethane foam mattress. The company’s 10-inch mattress is a great option for children due to its comfort, safety, and durability. The foam layers provide both support and conforming pressure relief for kids of all weights and shapes, while the adaptive foam is designed to adjust to each individual sleeper. Attention has been paid to creating a breathable mattress that wicks heat away from your sleeping child. 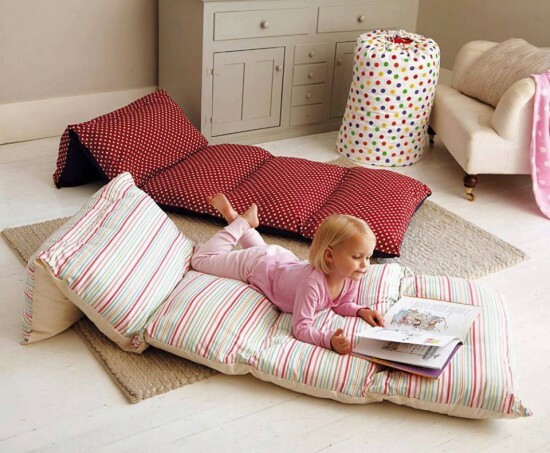 Support: While some foam mattresses lack the support needed for your child’s growing spine, not so with this one. 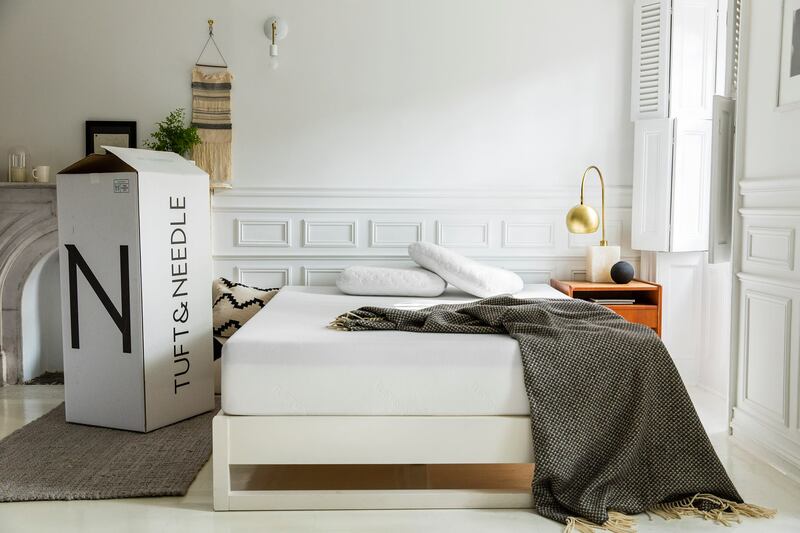 Tuft & Needle’s mattress is designed with adaptive foam that conforms to the sleeper’s body to provide customized comfort, and as more pressure is applied, the mattress reacts and provides even more support. Motion isolation: These mattresses perform well in absorbing motion if your child moves around a lot in his or her sleep. Customers also report they are quiet mattresses. Overall, this means a sounder sleep for your child. Price: Price is a consideration for almost every family. 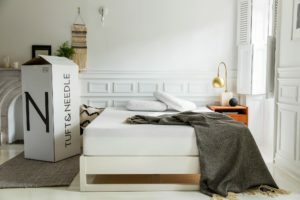 For its durability and attention to support and temperature control, Tuft & Needle’s mattress is a great value compared to many of its competitors. Tuft & Needle’s foams are CertiPur-US Certified and Oeko-Tex 100 Certified. Find out more about the Tuft and Needle mattress by visiting our full review page. Already know that Tuft and Needle is right for your child? Purchase your Tuft and Needle mattress on Amazon. My Green Mattress was founded by Tim Masters, whose daughter Emily has suffered from skin and allergic conditions from an early age. This inspired him, as the story goes, to engineer and design an all-natural mattress. The My Green Mattress Pure Echo mattress features a comfortable spring system for lumbar support along with the pressure relief of foam. The low price, combined with the all-natural and hypoallergenic materials used in its construction, make this an excellent choice for a child’s mattress. Healthy: The mattress provides a GOTS certified organic cotton and Oeko-Tex certified natural wool quilted cover which is a natural fire-retardant. This mattress is free of allergens and chemicals and is GREENGUARD Gold certified. Supportive: With a firmness level at around 7 and a pocketed-coil support layer, this mattress will support your child’s spine while they sleep and continue to provide support as they grow. The coils used are between 14.5-15.5 gauge. Great value: The Pure Echo by My Green Mattress is priced for value considering the extra health and safety measure that come into play during construction. All indicators point to a long lifespan at a fair price. If this is everything you’re looking for in a mattress for your child, you can purchase My Green Mattress Pure Echo from Amazon here. Zinus is a mattress company known for offering a wide range of very affordable mattress options, which makes it appealing for families. The Pressure Relief Green Tea mattress is one of their memory foam mattresses. This one is made with CertiPUR-US certified foam and infused with a green tea extract and ActivCharcoal to maintain freshness and odor control. This mattress has consistently been a popular choice with Amazon reviewers and makes a good economical choice for children. Affordability: This is a quality mattress at a very reasonable price. It doesn’t come equipped with all the bells and whistles of some of the luxury brands as you would expect, yet it offers certified foam with an extra odor-control feature. Because the mattress is made in China, the company can offer a lower price than it would otherwise. Motion isolation: True to form for a foam mattress, the motion isolation here is excellent. If your child is a restless sleeper, odds are they will sleep soundly on this memory foam. Pressure relief: Memory foam excels in this area, and this mattress, despite its lower price point, does not disappoint. The comfort level, at least in the short-term, should please your child and the odor-control is a bonus. For a closer look at the features of the Zinus Pressure Relief Green Tea mattress read our full review. The LinenSpa Memory Foam and Innerspring Hybrid Mattress offers that hybrid best of both worlds. This mattress consists of both memory foam for pressure relief and an innerspring layer for support and alignment. The memory foam quilted cover and foam comfort layer will hug your child while the spring layer will provide just a touch of bounce and resistance so their body weight is evenly distributed. Despite the coil layer, the mattress is still rolled and deliver in a box. Price: This is a very competitively priced mattress with many of the features that a great child’s mattress needs to have. Support: If your child loves the cozy plush feeling of foam, but you want to ensure proper lumbar support and an even distribution of weight to keep them sleeping soundly and safely, the combination of foam and coils here will meet your requirements. Comfort: The quilted cover and comfort layer will provide a cozy, body-contouring sleep. The presence of an innerspring core at the same time will prevent that lost-in-the-mattress feeling that can happen with memory foam and disturb sleep. 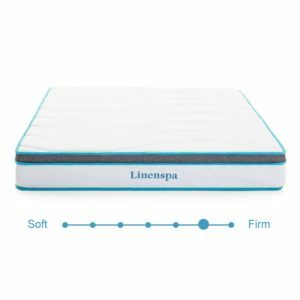 Already know that the LinenSpa Hybrid mattress is the one for your child? Go here to purchase this mattress on Amazon. The Signature Sleep Contour Reversible Mattress is a two-sided hybrid mattress, which means you can flip the mattress and sleep on either side. 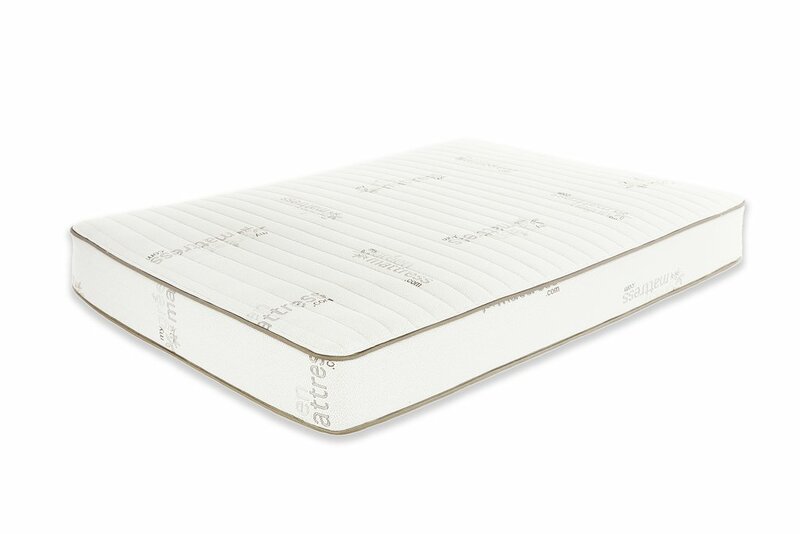 This is an 8” mattress made of CertiPUR-US certified high-density foam and pocketed coils. It features a breathable cover over a fire-retardant barrier. The Contour Reversible mattress rates as medium-firm and consists of three comfort-level zones to properly support the different areas of your child’s body while she sleeps. 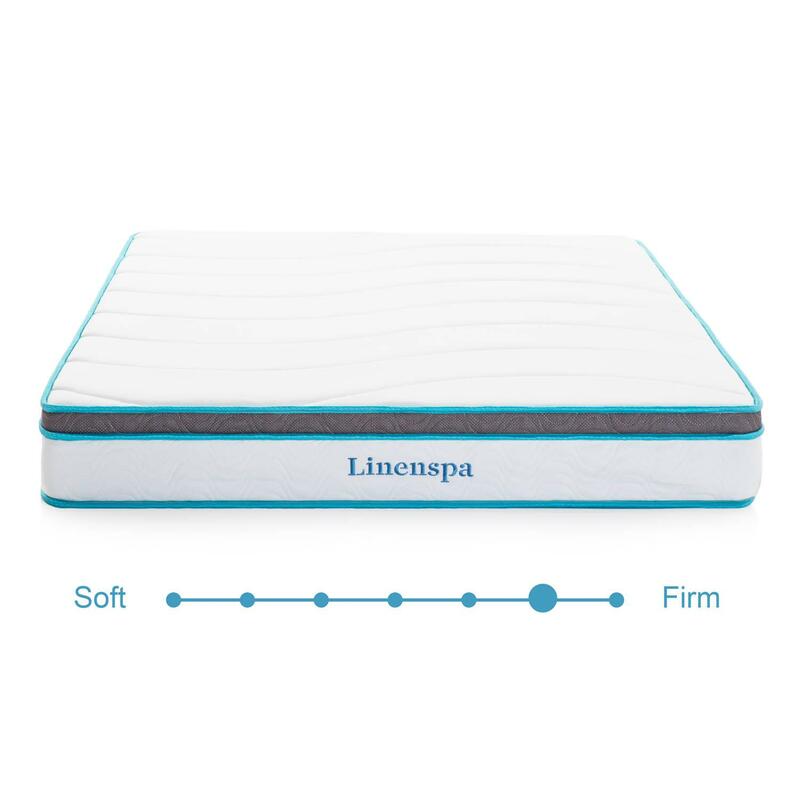 Motion isolation: For a mattress with an innerspring core, this one provides excellent motion isolation which will aid in your child getting a sound sleep. Support: Without sacrificing comfort, the Contour Reversible Mattress should provide adequate support for a growing child. The pocketed coils will transfer weight and prevent a child from sinking into the mattress unevenly. As a bonus, they also provide proper air-flow. Reputation: This mattress has over 8 thousand reviewers on Amazon. Over 70% of those are 5 stars, so you will have confidence in your decision if you choose the Contour Reversible mattress for your family. 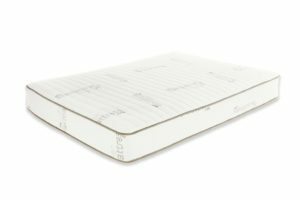 If the Signature Sleep mattress is the right choice for you and your child, you can purchase the Contour Reversible mattress on Amazon.